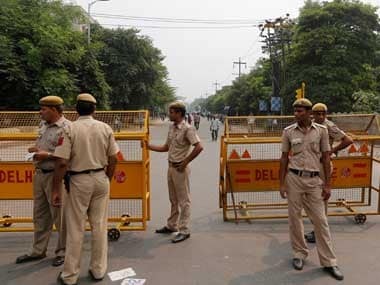 New Delhi: In an apparent case of road rage, a man allegedly hit two motorcycle-borne persons with his car as they objected to him smoking in front of them in south Delhi, following which one of the duo succumbed to injuries on Wednesday. Police, however, said they are probing whether it was case of accident or the accused deliberately hit the duo. Gurpreet and Maninder Singh, both in their 20s, had gone near AIIMS for filming a documentary on pavement dwellers in the national capital on Saturday, their families claimed. While they were having dinner near Safdarjung Hospital, a man came and started smoking on their faces, witnesses told police. The duo objected to the man blowing smoke on their faces and asked him to not do so, the family members claimed, adding the man, who was inebriated, threatened them with dire consequences. Gurpreet and Maninder decided to leave from there since they did not want to escalate the issue, they said. However, the man, followed them and hit them with his car near AIIMS. The driver also went on to hit two other vehicles — an autorickshaw and a cab. The duo was rushed to hospital. Gurpreet succumbed to injuries today while the other victim is undergoing treatment at the hospital, police said. The accused, identified as Rohit Krishna Mahanta, was arrested from the spot, but was later granted bail. He is studying law. He is currently in a hospital and police are awaiting to question him. After Gurpreet's death, police have added IPC section 304 (punishment for culpable homicide not amounting to murder with a maximum term of life imprisonment) to the FIR. Gurpreet's family claimed that it was an act of murder and alleged police inaction.